This past Monday was National Hamburger Day, so I'd be remiss if I didn't share a mouthwatering, diabetic-friendly burger recipe with you this week! 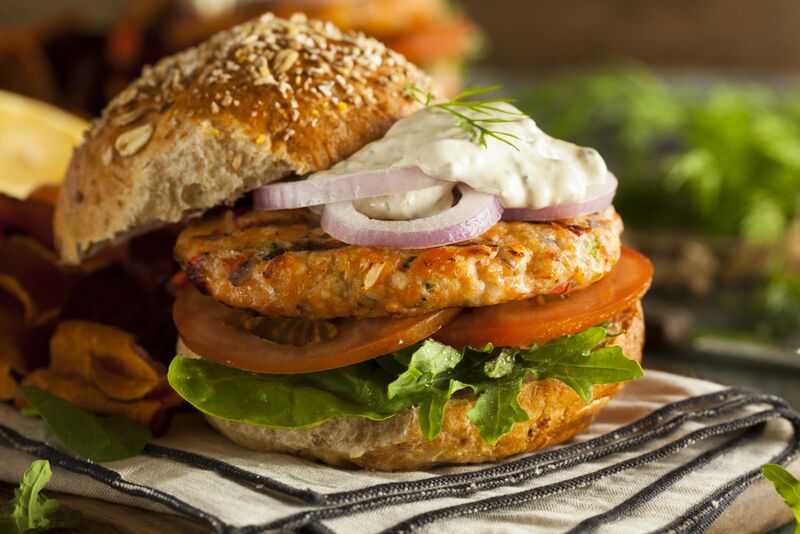 Try out this Grilled Herb Burger from Diabetic Living and let me know what you think! 1. In a large bowl combine egg white, onion, Parmesan cheese, the 1/4 cup oregano, the ketchup, garlic, salt, and pepper. Add beef and turkey; mix well. Shape meat mixture into eight 3/4-inch-thick patties. 2. For a charcoal or gas grill, grill patties on the rack of a covered grill directly over medium heat for 14 to 18 minutes or until no longer pink (165 degrees F),* turning once halfway through grilling time. 3. Serve burgers on rolls with tomato slices. If desired, top with fresh oregano and/or basil sprigs, dollops of goat cheese, arugula, and/or red onion slices.